Caitlyn Rees, an Australian wine expert and head sommelier, stated that there is a 5 step process to drinking wine. Her advice for wine appreciation states that the five steps are sight, swirl, sniff, sip and savour. Wines can be differentiated by clarity, intensity and color. When wine drinkers swirl their glass before taking a sip, it is to let the wine breathe and exhale its aroma, flavor and intensity to a maximum. When the wine has breathed enough, the next step is to sniff it. The aroma allows for the wine drinker to detect its scent and flavor to ensure its quality. Rees warns that if a wine has a cardboard smell or vinegar smell, the wine could either have a tainted cork or the wine is oxidized. Once the wine has been smelled, sipping the wine and savoring it by letting it swindle in a palate provides the most efficient way to detect the flavors of the wine. 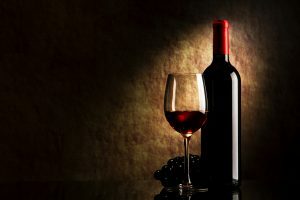 By following the five steps to drinking wine, it is becomes easier to learn more about the background of the wine and differentiate what region each wine is from due to its flavors.